Front & both sides Garden Wall. 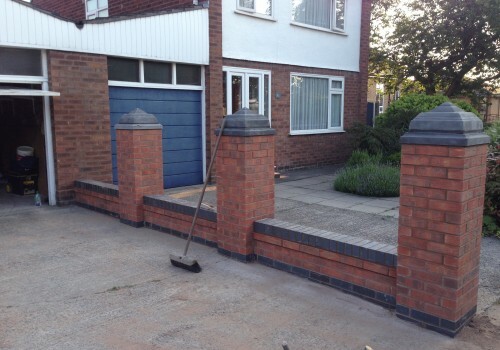 Feature work included 2 sweeps at the front, blue engineering band course, blue engineering brick-on-edge, sailing course on either side & 8 pillars in total. 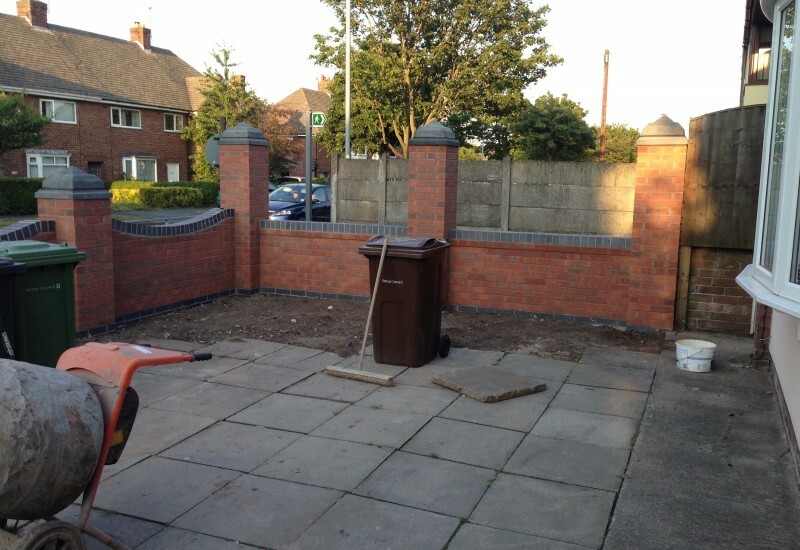 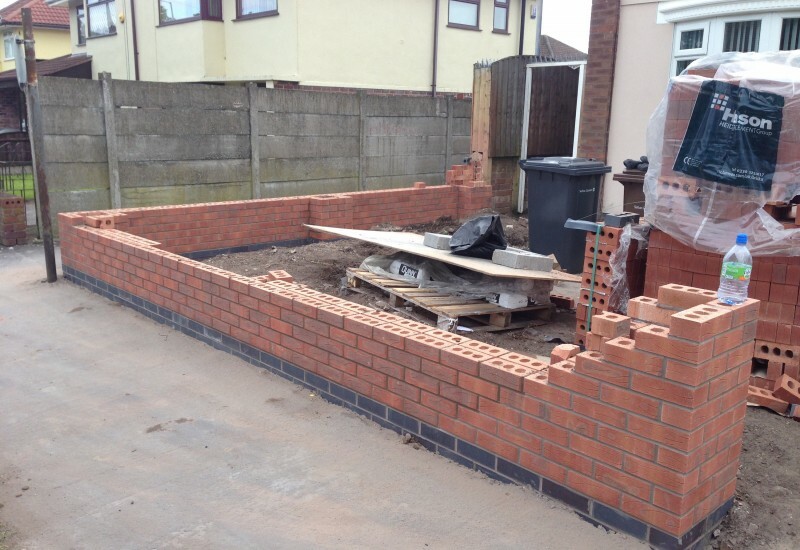 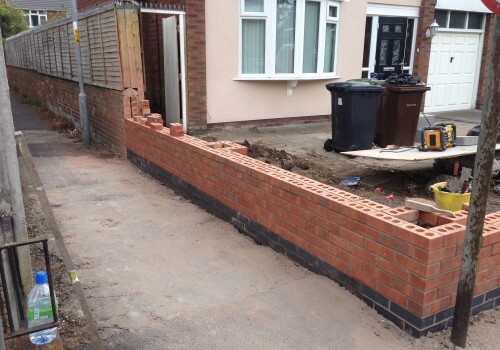 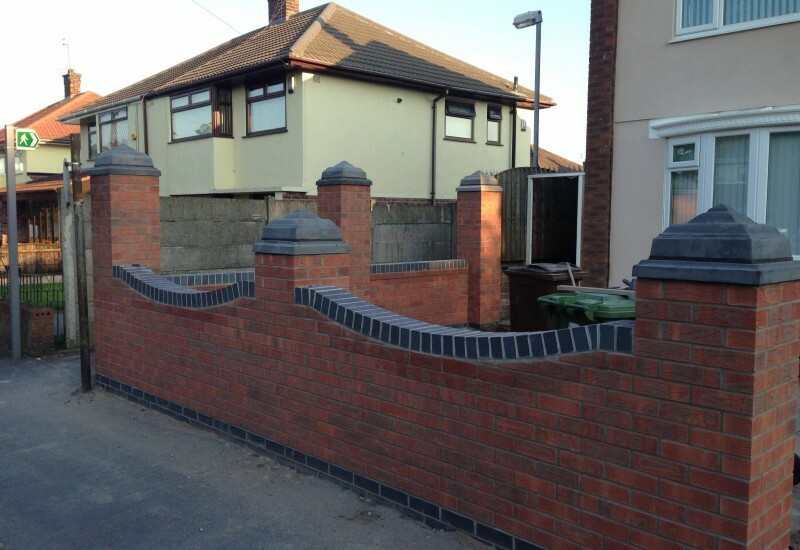 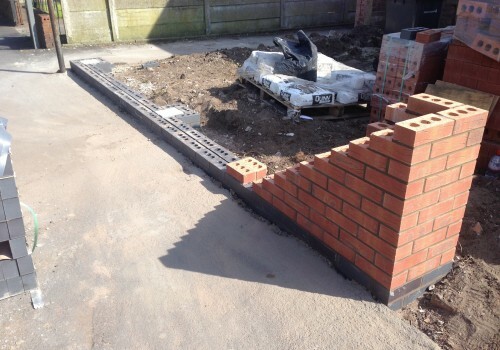 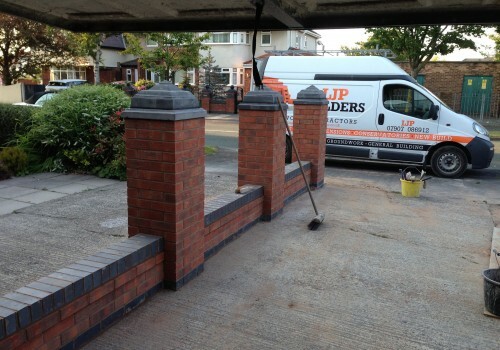 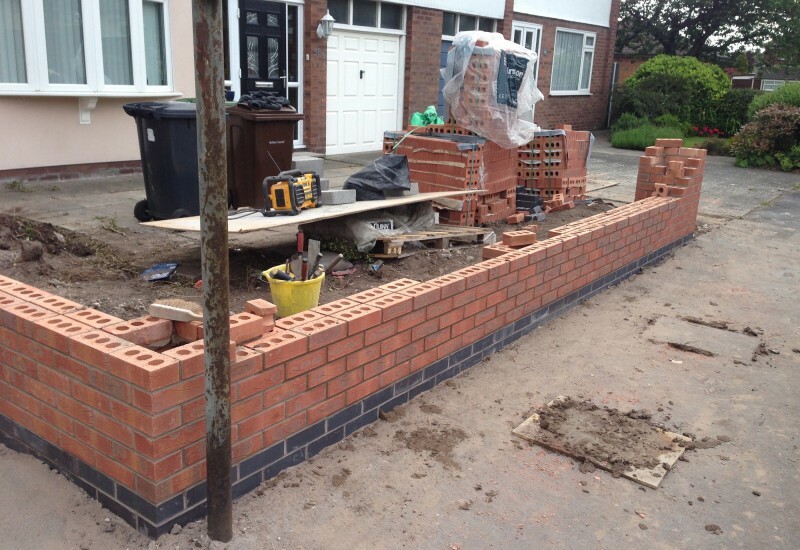 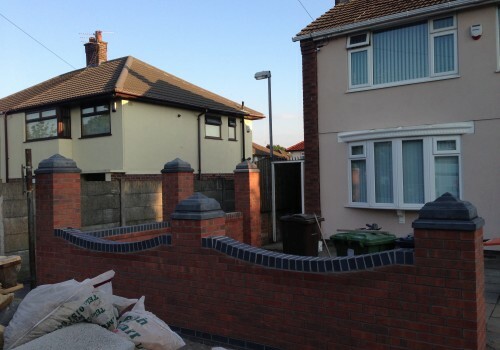 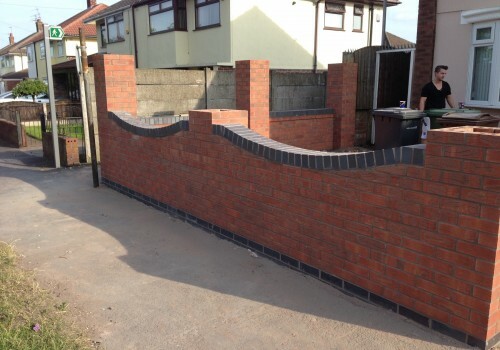 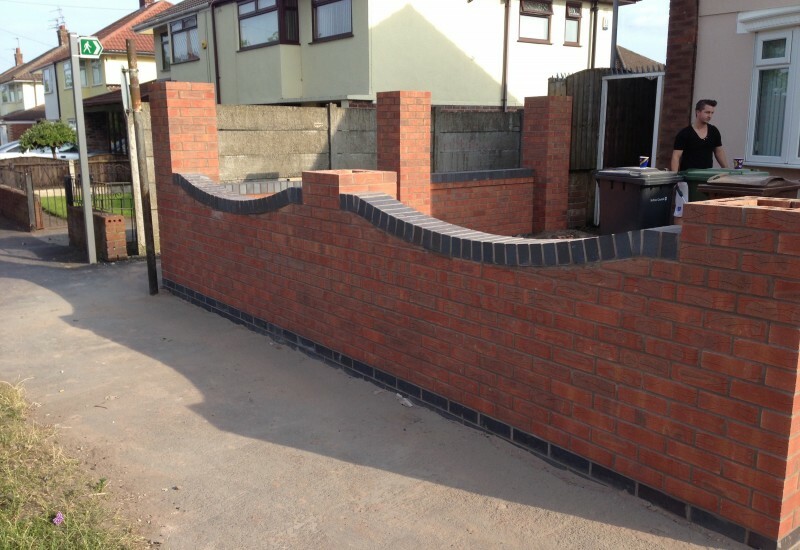 This wall was later fitted with fence panels between pillars.